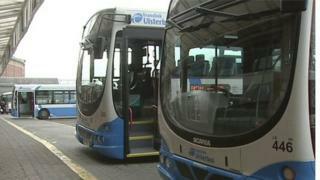 Translink have said they do not know when their mobile payments app will be fixed. Customers took to social media to vent their frustration at the difficulties with the mLink app after experiencing issues for three consecutive days. The company says the problem with the mLink is a UK-wide technology glitch and not directly related to the start of the new Glider buses in Belfast. Earlier this week, Translink said the problem was a result of "supplier capacity issues" which affected operators in the UK and parts of Europe. In a statement, Translink acknowledged the purchase of new tickets "was not possible in some cases". They have urged customers who are experiencing problems to contact them.